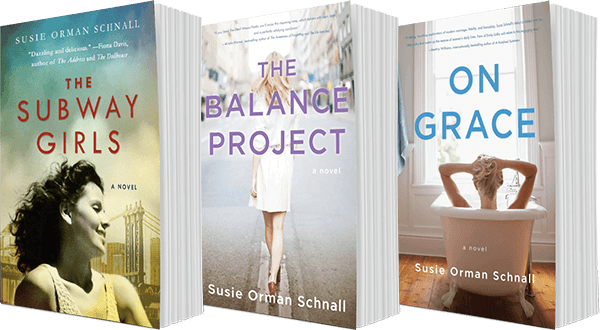 Looking for THE BALANCE PROJECT, the novel that was inspired by these interviews? It’s here. The Balance Project interview series recently celebrated its first birthday! Fortune ran a feature about The Balance Project. Want to be a part of The Balance Project? Complete the interview. When I first had my daughter in NYC, I worked in my office with clients five days a week and simultaneously published my first book The Wall Street Diet. I found juggling my newborn, the book, and my clients all manageable. When I was pregnant with my twin boys I wrote my second book, Bread is the Devil, and as soon as they were born I quickly realized working two jobs with three kids was a little more challenging. We decided to move to the suburbs from Tribeca with our three young kids, and I continued to keep my NYC nutrition practice three days a week. After a year and a half of commuting, I realized life wasn’t balanced at all. I remember soon after my daughter was born, we had signed her up for a music class in our city neighborhood and I raced home after a day of clients and barely got there on time. When I arrived, out of breath, I noticed I was the only mom there—the rest were nannies. Soon after our move to the burbs, I realized the pressure for moms to “do it all” much more intensely. While I personally know a lot of working moms in the suburbs, somehow you see very few nannies or child care providers doing pick up, drop off and activities (they must be hiding!). I wasn’t as bothered by the lack of nannies in the burbs, but I hated missing entire days of my kids’ childhood. As the daughter of a working mom, perhaps I was more sensitive to it all. This drove me to build another business that could help me build revenue and do something I am passionate about (curating healthy food) and so Bestowed.com was born. My husband and I have built this business together over the last two and a half years, and while being an entrepreneur has its ups and downs, it has been a rewarding experience. I simultaneously changed my schedule so I could work one very long day in the city, and I hired another nutritionist to work the other days. I am able to work on Bestowed between pick ups and drop offs and activities with the kids, and I feel more balanced overall—but I still honestly struggle with BALANCE. I think the key to having “it all” is deciding what “it all” means to YOU. I sleep the best at night when I feel on top of my work, have really focused on my kids without distraction, have squeezed in a run super early, and made time to talk to my husband and friends. One thing I know is that my kids do come first. Even when we have had a great week of work, when I don’t feel connected to my kids I have a pit in my stomach. I don’t even know if there really is a possible way to do all of that I mentioned above in a given day. But what I do know is, when you have what you LOVE you really do have everything you need. You should always chase your dreams, but it’s important to be okay with where you are today and with that you can make the “it all” dream a reality. I have found a way to manage taking care of myself, my clients, Bestowed, fitting in coffee or a workout with a girlfriend, and managing our social schedule, but I would say especially since I work with my husband, he always seems to come last. We used to have a date night once a week, but as the kids have gotten older somehow that night has disappeared on a weekly basis especially since our weekend nights out are with other friends. So I never feel we get enough alone time together, and this is something I am still trying to figure out. As a long-distance runner the most important part of staying balanced for myself has always been answering this question: How can I squeeze in my run? For short bursts of time over the last seven years, the kids or work has gotten in my way of running, but I discovered early on in my career, when I take care of myself physically, even if the run is just 20-30 minutes AND I eat well, I somehow find all the stress of life much more manageable. Stress in our lives is constant but when we take care of ourselves we are able to handle the same stress with much more ease. I have become less needy with distance or duration, as long as I get out and move, my whole day is better. When we lived in the city I would run from downtown to uptown to get in my workout. Now in the burbs, I run to the train. Sounds odd, but I wear a backpack, and it’s about 3 miles and I change, wash my face, blow out my hair before clients come in (and shower at night!). The key for me is to make that run happen before the kids are up or before work, otherwise it just doesn’t happen. For me the run is more important than the hour of sleep I miss. I leave my phone in the car from 5:30-8:00. The phone is my biggest distraction… the Instagram feed, the emails, the phone calls, etc. My kids wait all day for those few hours of focus. Everything with work and your life can wait. When my phone is out of sight, literally in the car, I am MUCH more focused and ultimately feel more balanced. I would take a yoga class. Most of the things we stress about and agonize about work out. Someone to come open all of our mail! A professional athlete. I always think it’s so amazing that professional athletes get paid to train, perform, and do what they love—ALL DAY. The pooper scooper. Such a hard job. Truthfully, I thought about finding some smart, sassy book to come up with for this question. But here is the truth: I am dyslexic. I rarely read books. I still get a little nervous when I have to read out loud to my kids’ classes or during Passover for the four questions, but I put on a confident face. My parents taught me that my disability was really a strength and that if I worked hard I could accomplish anything I dreamed of. I worked very, very hard and am proud. Activity? Reality TV. I am usually too tired to watch TV, but when I do it’s usually the Kardashians or Housewives of anywhere, and it can be a whole marathon of episodes. I just soak it up. Food? I have 2: chocolate and cheese! 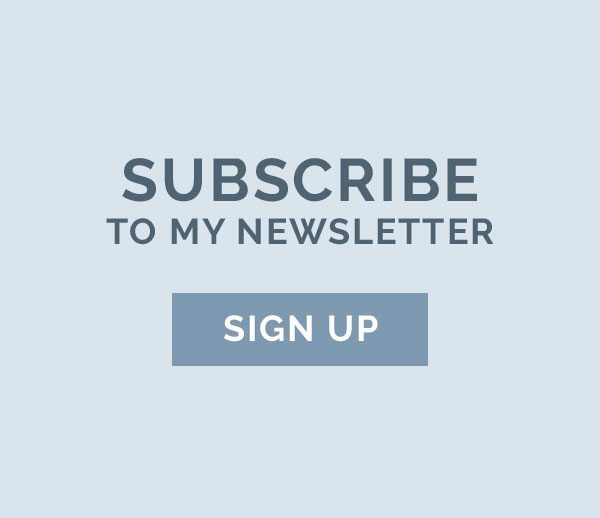 theSkimm. (I literally skim through it to see important headlines so I am on top of things!) But mostly I “read” my Instagram feed. I think I: am too hard on myself and drive myself crazy. I wish I: could go on more vacations with my husband. My kids: fill my heart with so much love, they really do complete me. My mother worked 3 jobs, got her PhD, and raised three kids, BUT most importantly she was always there to help me with homework and read to me at night. I admired her work and respected what she gave back to the world. While I daydream at times of a life without work or a simpler life, I know I would ultimately feel empty. I love that my daughter wants to be an author, runner, and mom when she grows up. Heather Bauer, RD CDN, is a nationally recognized nutrition expert, author, and entrepreneur. Her fresh and inspiring approach to diet has landed her prime time spots on Good Morning America, CNN, CBS, The Talk, Access Hollywood, Live, and The Tyra Banks Show. She has also been featured in the New York Times, The Wall Street Journal, and People Magazine. Ms. Bauer is the author of two top-selling books: The Wall Street Diet and Bread is the Devil and is the founder of Bestowed, a subscription service that offers consumers a personalized way to discover, sample, shop, and learn about the best nutrition and lifestyle products on the market. This is a fantastic article. I love her honestly about being dyslexic – very powerful and gives hope to other dyslexics that you can write and be successful.